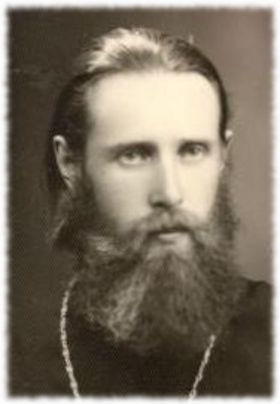 Archbishop Paul (1914-1988) began his ministry to the Orthodox Church as a monk in the famous Valaam Monastery in the years before World War II. Following that war, in which he served as a military chaplain, the Valaam brotherhood and the future Archbishop were resettled to the interior of Finland. In 1956 Paul was made a bishop. In 1960 he was elected the Primate of the autonomous Church of Finland. During his long reign as Archbishop, Paul contributed to a widespread liturgical and spiritual renewal of the Finnish Church, mainly by practicing and teaching about the Jesus Prayer. His ecclesiological views were fresh: his famous writings on the “diaspora” challenged a generation of Orthodox leaders, and he was a strong supporter of autocephaly – both for his Church, and for others in the “diaspora”. He never forgot his roots, however, and he personally participated in the rebuilding of the New Valaam monastery in its new home. The Gospel this morning was a parable – but it reads more like prophecy. For almost a thousand years the great banquet of our Church – the Eucharist – was increasingly declined by those who had been invited. Unworthiness, ritual impurity, fasting rules- the excuses were many until the Lord sent out his servants – or rather scattered them – through the tragedies of the 20 the century, to invite His people. And so today we celebrate the memory of one such servant sent by the Lord, Archbishop Paul of Finland, who through his writings and example helped inspire generations of Orthodox Christians to come to the banquet of the Lord, to receive again Holy Communion, not as an event, but with regularity. His books, “The Faith We Hold,” and even more so, “The Feast of Faith”, have been translated into several languages. They have encouraged hundreds of thousands of Orthodox to see the Eucharist again for what it truly is: spiritual nourishment, the fountain of immortality, the eternal banquet set by the Lord Himself in the Kingdom of God. If the Eucharist was participation in the Kingdom of God, then it was through the Divine Liturgy that Archbishop Paul taught we could enter that Kingdom. Like St. John Chrysostom, and more recently the great Russian theologians, Archbishop Paul returned again and again to the importance of the Divine Liturgy, to help us understand it not as performance to be watched, but a living, vital inspiring experience that leads, through the Eucharist, to that day without evening, the Kingdom of God. Not only did he preach about it, but by becoming a musician, and then liturgist, he helped generations understand it, and so experience it in increasingly profound ways. Archbishop Paul did not invent liturgical theology, nor eucharistic ecclesiology, but as the Archbishop of Finland he was a profound exponent and champion of both here in Finland and throughout the world. Most importantly, Archbishop Paul lived that which he preached. Finally his own life was centered on the Eucharist, and his joy was the Divine Liturgy, for it was there he witnessed until the end of his life, the reality of Kingdom. In his lifetime (1914-1988) Finland experienced civil war, Russian revolution, world wars, intolerance by Finnish public, profound loss, and the laborious task of rebuilding homes and parishes. Although he lived through all this Archbishop Paul developed an ability to see the Eucharist as the foundation of our Church. And he never lost his faith, which he proclaimed manifested itself liturgically, in all the richness that 2,000 years of history had enrobed it. Such is the legacy of Archbishop Paul — a legacy of leadership, inspiration, public and private witness, that will never be forgotten. He opened doors, rather than closed them; he reached out, rather than turned in; fearless in an era of fear; a shepherd in a time of wolves, demanding of himself and others, for there was always more to do. As a good and faithful servant of the Lord, there was always another road, another country lane, as the Gospel said, for Archbishop Paul to go down. We mourn his passing, we rejoice in his life, and we reaffirm his teaching and the teaching of other Church Fathers, that in Christ our Lord, and in his Eucharist, is Life eternal.